Not all species are suitable for horticultural production, but there is wide and interesting range in sales. In addition to Callunas, Erica gracilis are the most important representatives that have an outstanding eye-catching effect due to their many individual flower bells. “Cape heather” delights us with thousands of small flowers from August till end of October, especially in red and pink colours. 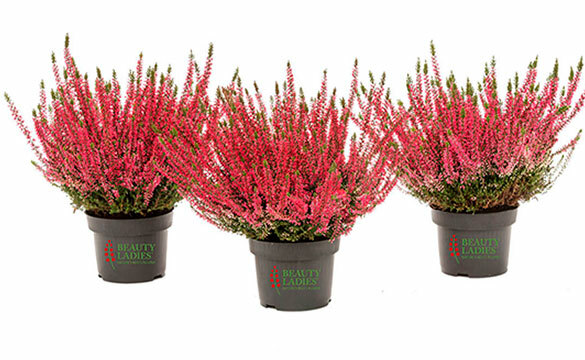 In addition to the popular Erica gracilis types, new varieties can be found on the market. Mister Line® is a group of Erica gracilis-varieties that really deserve the predicate novelty. Important breeding aspects, in addition to the flower, which of course is of great importance to every breeder, are also the inner values ​​of these varieties. The plant consists of thousands of small blossoms, which are located close to the flower stems. The many small blossom-bells look particularly beautiful and are fantastic eye-catchers. These two species are the early birds of heather season and flower from mid-July. In English Erica cinerea is also called bell-heather. The German name “grey heather” comes from the hairy gray stems. Most striking about this heather are the beautiful bright blossoms. 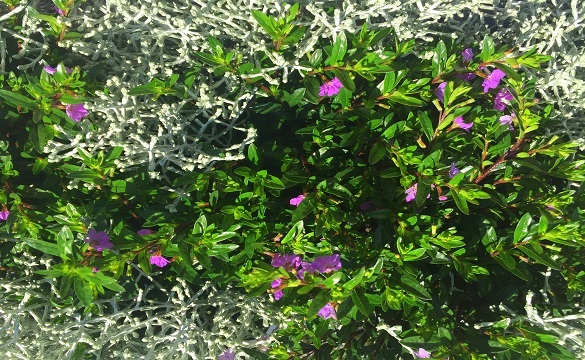 The color spectrum of Erica cinerea includes various shades of pinks as well as white. Here esspecially the series “Heideperle" shows the highest range of colour-effects. From the same supplier beautiful Daboecia-varieties have been bred. Irish Heather has big bells that swing funnily in the wind. Erica arborea leaves a different impression. Tree heather has no flowers, the characteristics of this structure plant, are the colourful foliage in yellow and green. The autumn-selection has even more to offer. 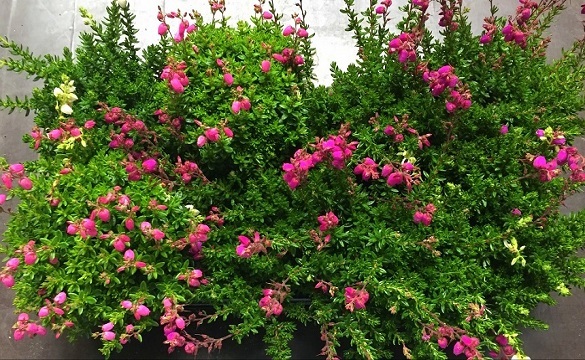 As combinations to heather there are numerous possibilities, like Calocephalus, Gaultheria, perennials and much more. They enrich the range. English Heather is a prominent representative of their genus, starting in late fall season, which lasts until next spring. In the past years these heathers gained back a lot of its importance and numbers has increased.